One of the most common questions from my clients is how to write online dating emails that gets a response. As in all other areas of online dating, you can maximize your emails so they stand out from the crowd. I’ll take you through a step-by-step process to help you write that first email to the person who sparks your interest. It’s really not that difficult to make a great first impression, and chances are, you’re missing an opportunity to get noticed. Make a few little tweaks to your email technique, and voila, he’s asking you out on a date. 1. Greeting or no greeting? You don’t yet know his name, and his screen name/username is pretty awkward to use as a greeting. I recommend skipping the greeting and going right to the body of the email. Also, studies have shown that men open more emails that don’t have a greeting. Go figure! 2. Make it personal. When you’re trying to figure out who you want to date online, you need to scroll through tons of profiles. Once you’ve narrowed it down to the few you’re interested in, you will be interacting with complete strangers. In other words, online dating is highly impersonal until you get to know someone. So, to stand out from the crowd, instead of sending a generic, impersonal (bland/boring) message, it’s important to establish a connection with him, to pique his interest. How? Read his profile, find a thing or two you both have in common or something that resonates with you. Do you both love to swim? Are you both artists? Does his love of adventure excite you? Each of these is a potential way to connect. Choose one or two things that stood out the most in his profile, and mention it/them right up front. 4. Ask for a response. When writing online dating emails, men don’t necessarily get that you would like a response. It may seem obvious to you, but you’ll want to make it clear for him by including a casual, low-pressure statement that shows you’d like to hear back from him (without being ‘masculine’ and telling him to call or write back). You can say something like, “I look forward to hearing from you”. 5. The closing. Conclude the email with a casual closing and your first name or nickname if you’re not yet ready to disclose your name. I enjoyed reading your profile. It’s pretty impressive that you’ve built your own airplane! The last thing I built was a Lego Bunny Hutch. What in the world motivated you to build an airplane? This email is polite, short and to the point but still casual and light. She attempts to connect with him based on her curiosity about his ability to build a plane, while also throwing in a compliment, a question that can generate more conversation and a request to hear back from him. You’ll also notice there is no aggressive flirting and no chasing. She’s simply starting a conversation that will hopefully lead to a great relationship. 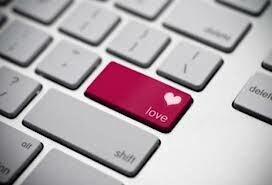 Have you ever written an online dating email that generated an enthusiastic response? Please share in your comments below. Thanks. And remember, to grab a copy of my FREE report, “The Top Three Mistakes Midlife Daters Make (and how to turn them around to find love now)” click here. These are good tips. I will try them out. @Arlett, glad you like the tips. Let me know if it helps your online dating success. Actually, no. I don’t think I’ve ever received a response. No, once I got the word Hi. Guess I’m writing the writng the wrong men!